As I watched part four of O.J. : Made in America, I was reminded of something I learned while researching The People v. O.J. Simpson: American Crime Simpson. At least two jurors came forward after O.J. 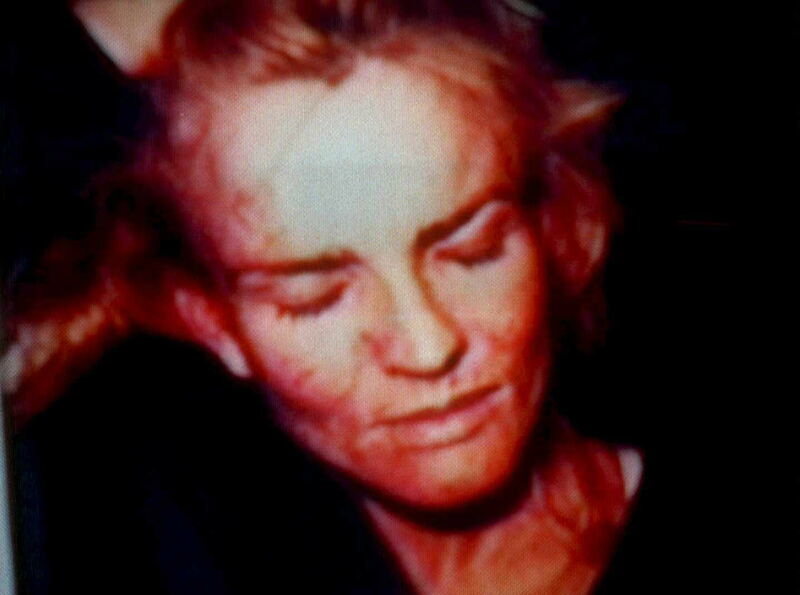 Simpson was found not guilty of the murders of Nicole Brown Simpson and Ronald Goldman to discuss how Simpson allegedly being domestically violent towards Brown Simpson for years should not have been such a large focus by the prosecution during the trial. As Marcia Clark and Bill Hodgman explained in the 30 for 30 documentary, they considered evidence of Simpson allegedly abusing his wife to be the motive for the murders of Brown and Ron Goldman, but the jury either didn't seem to get it (Hodgman's opinion) or simply did not care (Clark's opinion). But as multiple commentators showed in O.J. : Made in America, there is a third scenario of people blaming Brown for the alleged domestic abuse (in his civil trial, Simpson denied ever beating Brown Simpson and has maintained his innocence in the murders), and that blame is wholly intolerable. "Let me tell you, I lose respect for any woman that take an *ss whooping when she don't have to. Don't stay in the water if it's over your head — you'll drown." Blaming the alleged victim of domestic violence is nothing new. Take, for example, that even the CDC suggests practices that prevent abuse before it happens rather than focusing on stopping the abusers themselves. But having been presented with the evidence of alleged abuse as a juror, it's particularly unsettling to hear a woman say she disrespected Brown. During the trial, the prosecution partially focused on a specific incident that happened on New Year's Eve 1989. As reported by the Los Angeles Times, Simpson plead no contest to spousal abuse after police were called to his home over an incident that left Brown Simpson with injuries that required hospitalization. The jury was shown photos of those injuries. Later in 1989, Simpson said of the incident, "It was really a bum rap. We had a fight, that's all," and in a letter read by Robert Kardashian in 1994, Simpson claimed that he only plead no contest to protect the couple's privacy, according to the New York Times. In addition to highlighting these claims of abuse again, the documentary goes back to the beginning Simpson's career to show what was public perception of him was like before the trial. Simpson was a beloved sports hero, which may have it made harder for the jury — or anyone — to believe the domestic abuse allegations. Still, juror number nine's view on these claims of abuse remains unacceptable, even 22 years after Brown Simpson's murder. No one should blame Brown Simpson for staying with her ex-husband after alleged abuse, and Brown Simpson's decision to stay in her marriage after the 1989 incident should not have influenced the jury's verdict. To use Bess' metaphor, if someone holds your head underwater, you should not be blamed if you eventually drown. Beyond the jurors, there are other people in the docuseries who seem to blame Brown for staying with Simpson. In the very beginning of part four, former detective Mark Fuhrman recalled the time when he answered a domestic abuse call involving Simpson and Brown. When he asked Brown if she wanted to file a police report, she said "no." While it's natural to feel a sense of disappointment that a person didn't accept help, this is clearly an oversimplification of the matter. Filing a police report does not solve the complex problem of alleged domestic abuse — especially if the alleged abuser is as powerful as Simpson was — but unfortunately, Fuhrman's thought process has been found to be common among first responders according to the Journal of Forensic and Legal Medicine. Although I almost don't even want to bring this up since it perpetuates the idea that Brown is somehow at fault for the abuse she allegedly sustained, I will mention that Brown was the one who left her dysfunctional marriage — multiple times — as O.J. : Made in America documents. Though Simpson denied ever physically abusing Brown Simpson, the diary entries found in her safe deposit box make it clear that she was afraid of him, even after their marriage ended, so leaving him was likely not easy for her. No woman or man who claims to have suffered domestic abuse should be blamed for the violence that is allegedly done to them. Like Clark said in O.J. : Made in America, "Abusers blame their victims for the cycle of violence." And unfortunately, sometimes other people do too.